"Hi! I am Teacher Dearly. I love to teach and I want to help you with the skills, abilities, and knowledge that I have. I will make sure that you will learn from me and use this learning in your everyday life. I will make it easy for you to learn English and have fun." 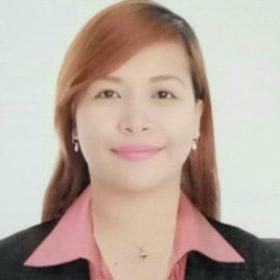 "Teacher Dearly took Bachelor of Science in Business Administration Major in Management. She handled multiple financial accounts as she worked as a Customer Service Specialist and a Chat Support Specialist for United States Clients. Her hobbies are reading business books and blogs, reading novels, watching movies, food and travel vlogs on YouTube and listening to modern music. She wants to teach English so she can share her knowledge, motivate students and help them grow. She's a good listener and a good advisor."